If you want to succeed in the world of blogging, you’re going to need to find ways to grow your website traffic and drive visitors to your blog. While there are many methods for doing this, few offer the many benefits that come with guest blogging. But with the popularity of guest posting comes some stiff competition. In order to help you succeed with your guest posting, here is a look at a few must know rules for an effective campaign. Before you create your pitch, you need to put together a list of websites that accept guest posts and whose target audience aligns with your own. While there are plenty of blogs that allow guest posts, your main goal should be to find options where guest posting can be mutually beneficial. 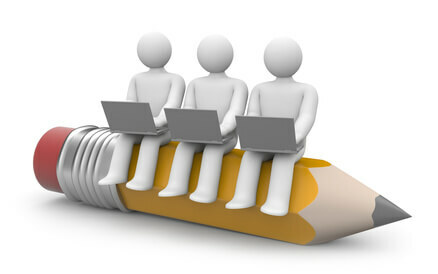 Seek out blogs that are in the same industry as you, and that would be interested in the topics that you write about. Your list should, at the very least, include somewhere between 30-50 potential blogs. Once your list is created, you need to develop a strategy for your guest posting campaign. Are you planning on writing 20+ guest posts? Would you like to stick to just a few sites? How long will your campaign last? These are all questions that you will need to answer before moving on. The answers to these questions will determine how you craft your guest posting campaign moving forward. At the end of the day, the effectiveness of your pitch is what is going to determine how successful your campaign will be. In order to get accepted, you need to create a compelling pitch that shows exactly what type of value you can provide to the blog owner and their readers. You should be aware that most blog owners first priority is to ensure that the content they are posting is valuable and relevant to their audience. Use this knowledge to your advantage by creating a personalized pitch that focuses on proving the value you can provide their target audience. Once you know how many sites you will be guest posting for, it’s important that you develop a timeline for writing these posts. Ask the blog owners when they plan to publish your post, and use that information to ensure that you deliver all of your content within the necessary timeframe. If you don’t take the time to create amazing content for your guest posts, you mine as well forget about having an effective campaign. Over everything else, this is the most important part of the process. The advantages of creating amazing guest post content are endless. If it isn’t high quality, however, then you’re basically just wasting the time of both parties. Take the time to write out your first draft, edit it multiple times to get it right, and include relevant images throughout the article. While this will take time, it’ll be well worth it in the end.